A must-have piece of glassware for cocktail enthusiasts and bartenders alike, this Timeless Vintage Mixing Glass is perfect for bringing a touch of elegance to cocktail making. 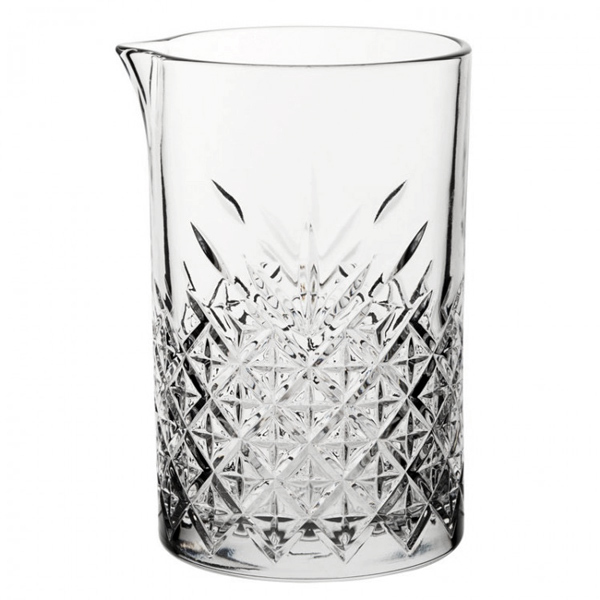 Featuring a alluring cut-glass design, this mixing glass from the 'Timeless Vintage' range is perfectly paired with the rest of the collection. Made from high quality glass, this glassware provides excellent strength and durability, which makes this tall mixing glass suitable for commercial use. "High quality piece of kit, dishwasher safe and large enough to mix a variety of spirits, my favourite being the Old Fashioned. Very happy with this piece of kit. A valuable addition to the collection."